Let's say that person A has metabolic syndrome but no problems with anxiety. As you probably already know, metabolic syndrome is a significant risk factor for all kinds of problems including diabetes and heart attacks. Then let's say that person B has generalized anxiety disorder, but does not have metabolic syndrome. Generalized anxiety disorder means that the person is chronically anxious and has symptoms such as irritability, jitteriness, and feelings of catastrophe concerning himself or his family. So who is more vulnerable to death from any cause — person A or person B? The answer may surprise you. In a brand new study, researchers looked at 1,115 men and women 45 years old and older. Some of them had metabolic syndrome, some had generalized anxiety disorder, and some had risk factors for cardiovascular disease, but had neither of these problems. This third group formed the control group. They followed these three groups for a little over nine years. During that time, there were 248 deaths, with 148 of those deaths coming from cardiovascular disease. Then the authors of the study analyzed who was more likely to have died from cardiovascular disease, the patients with metabolic syndrome or the worriers. Here's what they found. When it came to the men, there was no extra risk conferred for either metabolic syndrome or anxiety disorder compared to the control group. But it was very different for the ladies. On average, the women with metabolic syndrome were up to 91% more likely to have died from a heart attack than those in the control group. 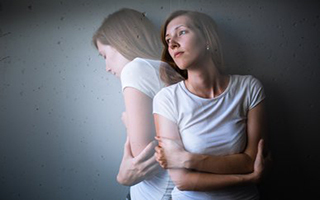 The women with generalized anxiety disorder did even worse. They had up to a 99% increased risk for dying from cardiovascular disease than the control group. The results indicate that having chronic anxiety is even worse for cardiovascular disease than having metabolic syndrome. Amazing! The authors put it this way, "Generalized anxiety disorder should be considered an important and independent mortality risk factor in women." So guys, you can worry all you want. It doesn't seem to have a bad effect on your heart. But ladies, if you're a chronic worrier who fits the definition of generalized anxiety disorder, let me suggest that you get some help before it does you in. There are a lot of ways to get rid of this problem. These include neurobiofeedback, amino acid therapy, meditation, counseling, and praying. Butnoriene J, Bunevicius A, et al. Metabolic syndrome, major depression, generalized anxiety disorder, and ten-year all-cause and cardiovascular mortality in middle aged and elderly patients. Int J Cardiol. 2015 Apr 16;190:360-366.